As you know I tirelessly scour the major streaming services and networks to find unique content that you most likely haven't heard of, or are on the fence about, and provide my unbiased opinion. Today I have the perfect example of a show that has slowly gained an underground following, but may not have the best PR to get it out there. This is fairly ironic, given the premise of the program. However, if you like intelligent comedy that plays out with the unexpected elements of real life, read on. 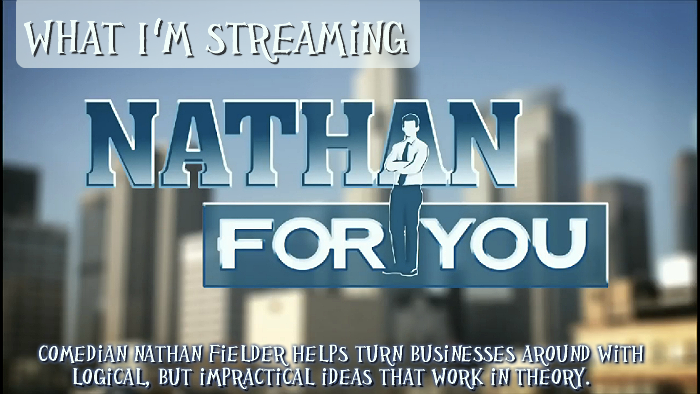 Nathan For You, a Comedy Central original television show, is currently in it's second season and relies on a Canadian native comedian (if you think about it, this network uses a lot of Canadian influence) to put forward an easy to watch program of comedic intelligence. 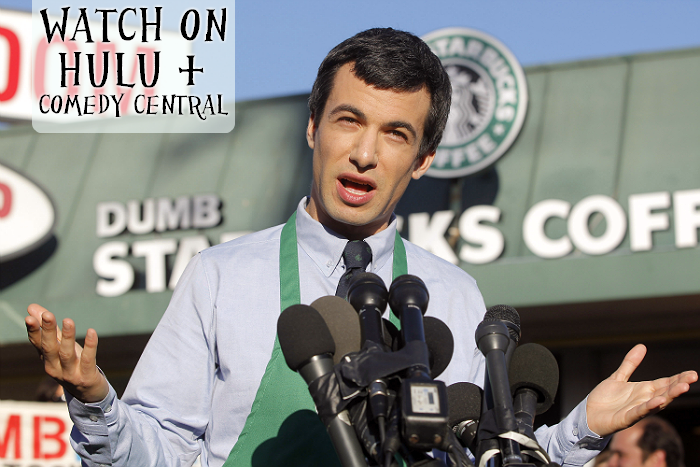 In a sort of 'Kitchen Nightmares/Hotel Hell' style format, comedian and self professed businessman Nathan Fielder visits California businesses struggling to bring in customers. After a little recon he'll sit down with the owners to offer his, sometimes even unwanted, but always valid and plausible solution to turn their business around. If that sounds like something that should be on A&E or TLC, not Comedy Central the humor lies in the almost obvious solutions that are certain to work in theory but cause more complications than the end result is worth. 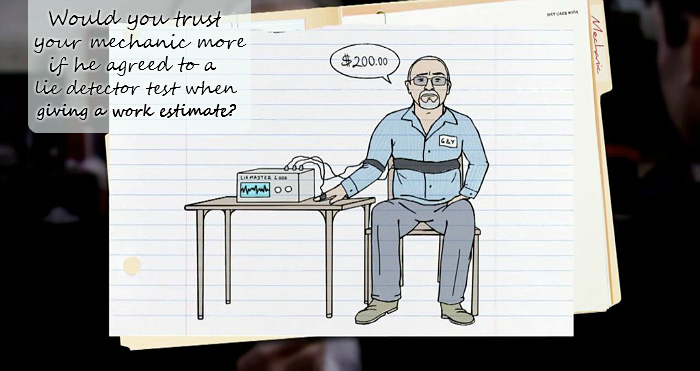 For example; Would your mechanic seem more trustworthy on quotes if he subjected himself to a lie detector? Would you prefer to buy your house from a realtor that guaranteed all of her properties ghost free? Could a restaurant actually get more business by offering free public restrooms in LA, while showing their customers commercials for their menu in stalls? Nathan's ideas are always obvious in nature, but never easy to achieve, especially when put into action in real life. Just Google the Pig Rescues A Goat video he engineered (that went globally viral) to bring business to a small country petting zoo in 2012. What I love most about this show is that it is 30 mins per episode and has 2-3 scenarios going on at once, so it is an easy watch. And, surprisingly for the network in which it hails, the majority of the comedy is very clean, with some subject matter here and there relying primarily on dialog. Some of the premises seem silly, but the episodes as a whole are always entertaining. If you're even the slightest bit curious I suggest you check it out on Comedy Central or Hulu, where you can stream all of Season 1, and the current season's episodes. And if you do, let me know what you think! Sounds like it be really interesting and quite amusing! Lol. We like comedies with dry and sarcastic humor, like The Office. Just last night I was searching for a new series (something without bad language/mature scenes) so this one might be a winner. I would like to know how he got the goat in the water as they are pathologically afraid of the stuff. Mine run maaaaaing for cover at the merest drop of rain. Sounds like an entertaining show. I'll have to find it on my dish. The thing about canadian shows is that by law, Canadian program is required to run a certain amount of Canadian content. As a result, quite a few excellent shows come out of Canada including Nathan for you! Sounds interesting, I haven't heard of this one. I may check it out.